Recordings are now the primary way we hear classical music, especially the more abstract styles of “absolute” instrumental music. 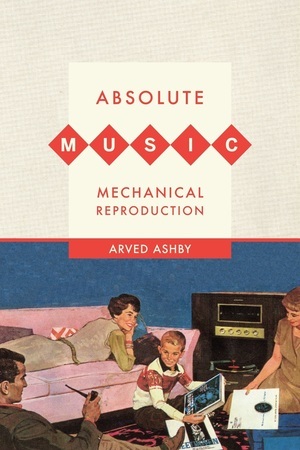 In this original, provocative book, Arved Ashby argues that recording technology has transformed our understanding of art music. Contesting the laments of nostalgic critics, Ashby sees recordings as socially progressive and instruments of a musical vernacular, but also finds that recording and absolute music actually involve similar notions of removing sound from context. He takes stock of technology's impact on classical music, addressing the questions at the heart of the issue. This erudite yet concise study reveals how mechanical reproduction has transformed classical musical culture and the very act of listening, breaking down aesthetic and generational barriers and mixing classical music into the soundtrack of everyday life. Arved Ashby is Professor of Music at the Ohio State University. He is the editor of The Pleasure of Modernist Music, and has published articles on twelve-tone composition, film music, minimalism, and Frank Zappa. He was an American Musicological Society (AMS) 50 Dissertation Fellow, and won the AMS Alfred Einstein Award in 1996.